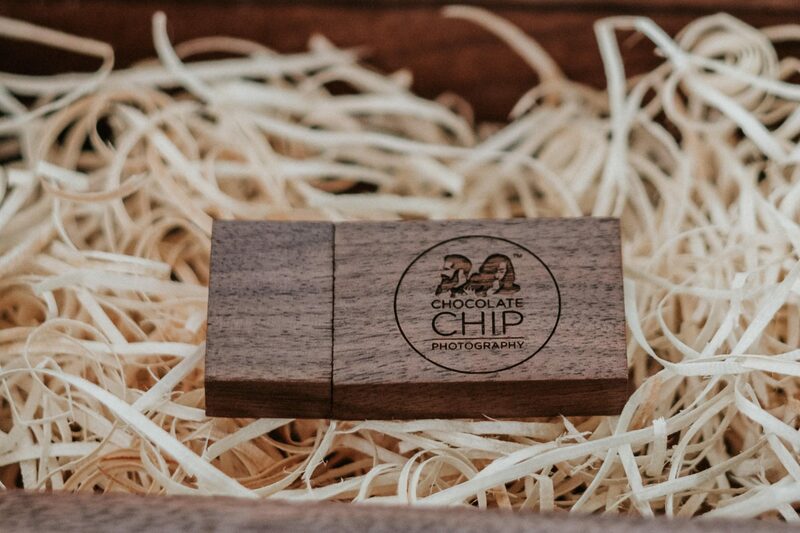 We’re always aiming to improve everything about our customer experience and with that in mind we’re proud to unveil our brand new Wooden USB Cigar Boxes which arrived last week. 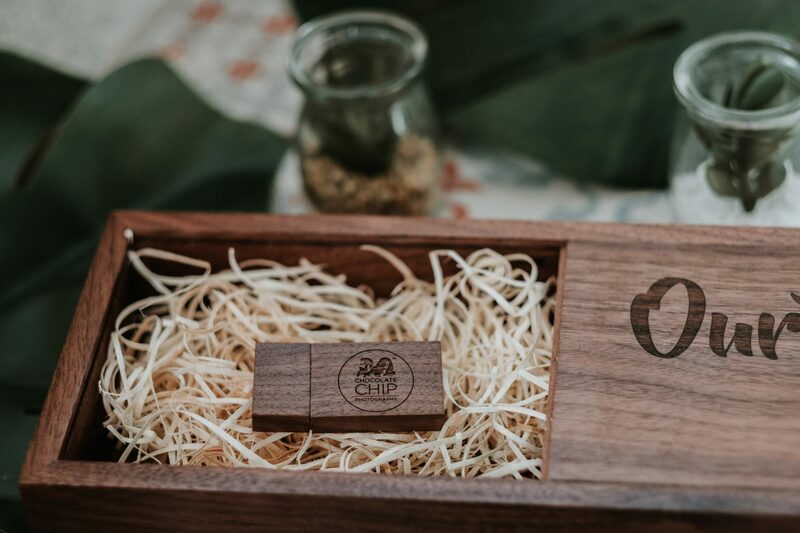 These will be included in all wedding packages for couples getting married from May 2018 going forward. 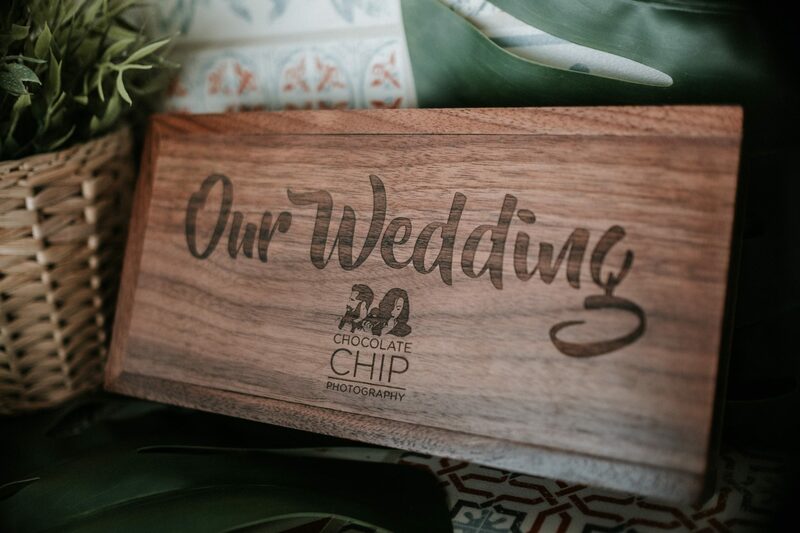 We love the dark wooden boxes which we had last year, but after re-branding Chocolate Chip with a new logo in November 2017, we felt a refresh was on the cards. 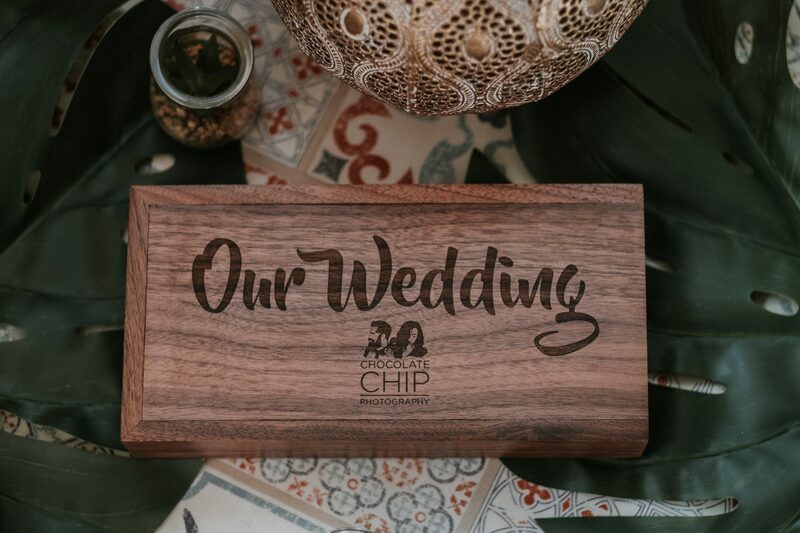 Our previous boxes were square but once we saw these rectangular cigar boxes, we knew our clients would love them. 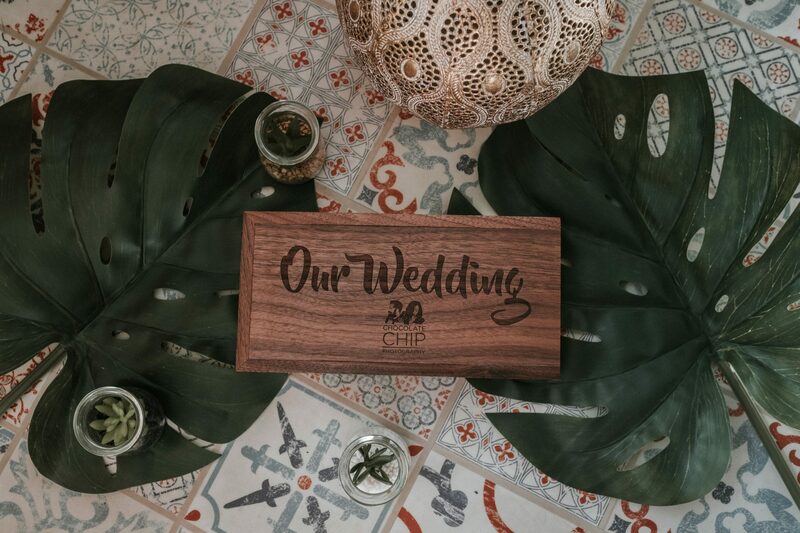 As you can see, they are all engraved with Our Wedding on the front as well as the Chocolate Chip Photography logo. This ensures a personal feel which at the same time showcasing our first class brand that our clients love. Popcorn, for your first viewing. An instax of our favourite couple photo. A scratch card, to start your married life with some luck. The rules of Photo Club… the do’s and dont’s with your images.